Cricket has grown up in a rich, privileged bubble, so when her misbehavior pushes her father’s limits, he sends her to Camp I Can to be the counselor to a group of special-needs teenagers. Cricket is horrified once she realizes what has happened, and tries to find a way home, convinced that there’s nothing worth sticking around for—except maybe a certain cute fellow counselor. But as her attempts to leave are continually thwarted, Cricket discovers some surprisingly compelling reasons to stick it out. Summer on the Short Bus is a zany, unpredictable novel that isn’t concerned with being politically correct or making a statement about how differently-abled people are treated, but realistically portrays Cricket’s emotional journey as she exposed to a very different world than the one she is used to. Cricket’s behavior and her thoughts are completely transparent to the reader through the first person narration, and her reactions to the campers are harsh but believable coming from someone who grew up the way she did. 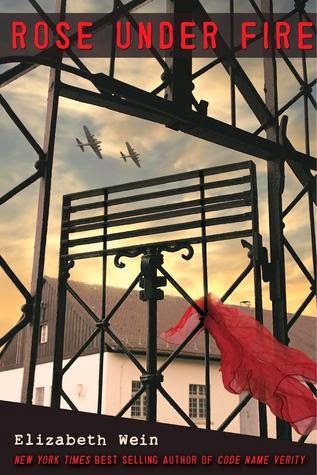 The characters and events of the novel believably bring about Cricket’s change of perspective, and Crandell’s subplot about Cricket’s family ties to the camp gives Cricket an extra motivation for character growth. 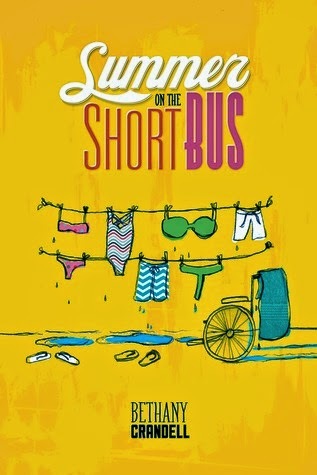 Crandell’s heavy use of pop culture, banter, and humor fit seamlessly into the story, making Summer on the Short Bus as entertaining as it is heartfelt. 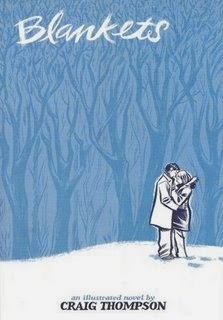 Cover Comments: I love this cover! I like the yellow and the the illustrations are fantastic, yet the title treatment does a good job at conveying that this is a YA book. Fantastic. ARC borrowed from Cori McCarthy. This book is out tomorrow! 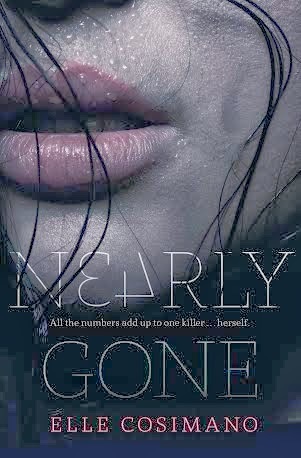 Welcome to the NEARLY GONE blog tour. We at Penguin are especially excited about Elle Cosimano’s smart, but scary debut (caution: avoid reading this one before bedtime!). Over the next three weeks, Elle will share the secrets behind NEARLY GONE on a Monday/Wednesday/Friday basis, so be sure to be on the lookout for new posts! Reece Whelan isn’t the unrepentant bad boy he appears to be. He’s a confidential informant (also referred to as a CI – a rat, snitch, or narc) selling out drug dealers to the police. Informants are often embedded within a criminal network, or involved in illegal activities, giving them access to privileged information that might not be otherwise accessible to police. But just because they cooperate with law enforcement doesn’t necessarily make them one of the good guys. According to a deputy I interviewed while researching the story, CI’s typically become informants for two reasons: 1) they need money, and 2) they need to get out of trouble. Which meant Reece needed a pretty complicated (and criminal) backstory. And herein was my biggest challenge in creating his character. How could I make this guy likeable? 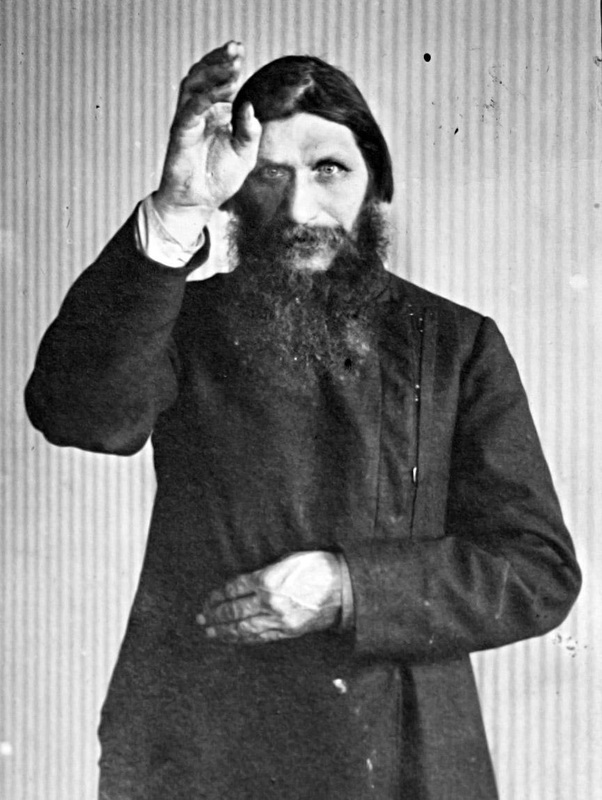 What was it about him that would make him attractive to a discerning strong heroine? In Reece’s case, there had to be a third compelling reason he was narcing… Redemption. He had to regret his past. He had to be making up for some terrible mistake that rattled him to his core. One that indebted his conscience to a dangerous future and made him re-evaluate who he wanted to be. He needed to be redeemable in Nearly’s eyes, but also in the eyes of the reader. And yet, to the rest of the world, he still had to fit in to the subversive life he wanted to escape from. To blend in, he’d have to look like a dealer and act like a criminal, which meant he wouldn’t be the kind of person Nearly would fall for easily. I built Reece’s character around Nearly’s, at first. I knew I needed him to be very different from her – someone she would never choose to spend time with, or even be attracted to, if circumstances weren’t pushing them together. Where she was very rigid and cautious, I needed him to be fluid and reckless. Where she tried to be unseen, Reece needed to draw attention. I knew he wore tattoos and piercings, and I knew his name. When I began searching for the perfect tattoo for his character, I found the legend of the thistle, and his backstory evolved from that metaphor. The story of Reece’s thistle – who he was and what he did -- is one you’ll have to unravel on your own. Elle Cosimano grew up in the suburbs of Washington, DC, the daughter of a prison warden and an elementary school teacher who rides a Harley. 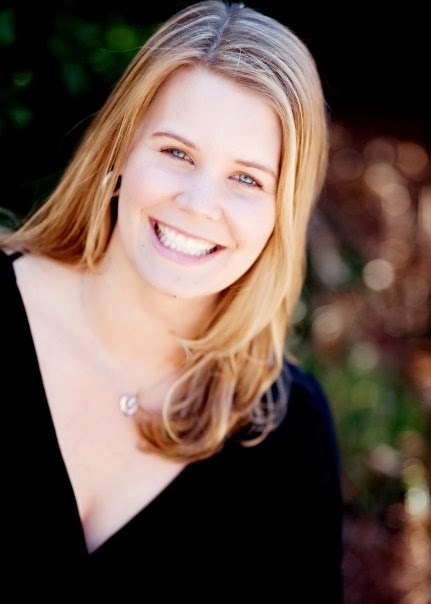 She majored in psychology at St. Mary's College, Maryland, and set aside a successful real-estate career to pursue writing. She lives with her husband and two sons. Nearly Gone is her first novel. Nearly Gone is out now! In the spirit of school and education and learning (and also peer pressure), I did something I've never done before. I went to the library and checked out two graphic novels. And then I read them. I know, I know. Crazy. I've been very stubborn when it comes to graphic novels. I like the way they look. I know a lot of comic book characters and story arcs really well and I like the stories. Just, when I sat down to actually read one, I found myself getting flustered. I became genuinely anxious over the conundrum of where to look first. What do I look at? Pictures first, then words? Words, then take in the pictures? What if I accidentally skip a panel? What if I miss something in the corner of a panel because I am too busy looking at other things? These were legitimate concerns that kept me from ever reading and enjoying any comic book or graphic novel. And then when I was at residency this past January, I thought, "Well, this is ridiculous. I am going to do this." And I went to Jim Hill's lecture on graphic novels, which was smart and fascinating and enlightening to a graphic novel newbie like me. (And Jim is in general a very smart guy and hilarious writer, and you should remember his name because you'll want to read his books.) And that solidified my determination. Graphic novels. I'm going to read them. 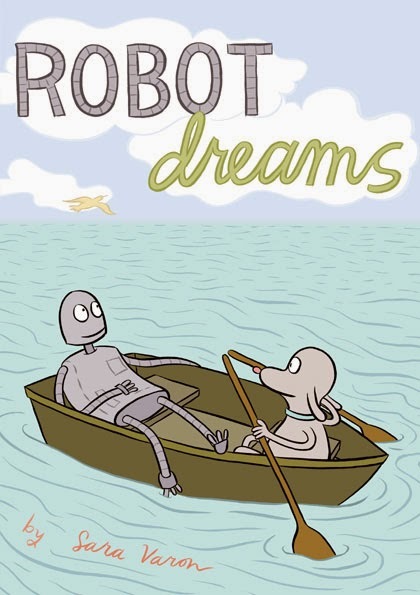 This is a book that we have in stock in the store, and I really liked the cover. It's clever and it reminded me of the original Sisters Red cover by Jackson Pearce. I've paged through it before, but when I saw it on the shelves at my library, I snatched it up. While the bare bones of the story--girl falls down a well, meets a ghost she can't shake, ghost helps her out with things like school and boys, everything is going great...or is it?--weren't completely shocking or innovative, I liked Anya's character a lot, and I loved how Brosgol framed the ghost story within Anya's trouble to fit in and not be seen as the immigrant. This was a lot of fun and I was really into it by the end. 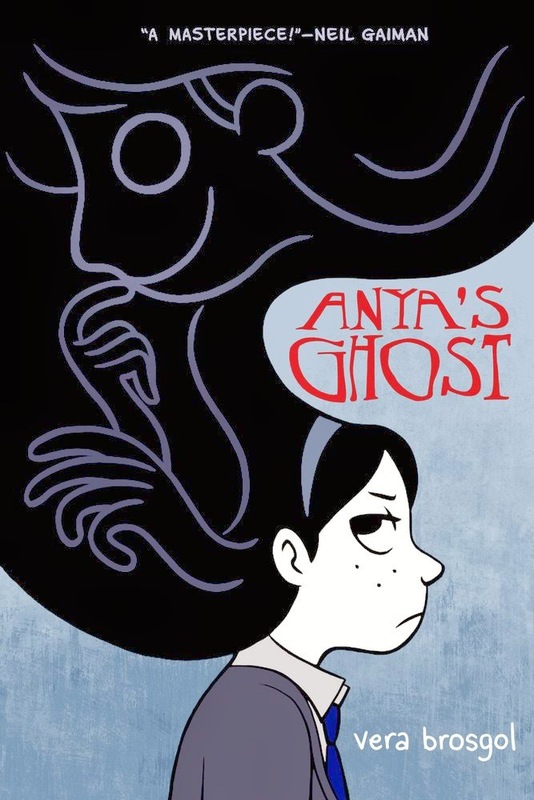 So, I read Anya's Ghost, I liked it, I was feeling pretty proud of myself. 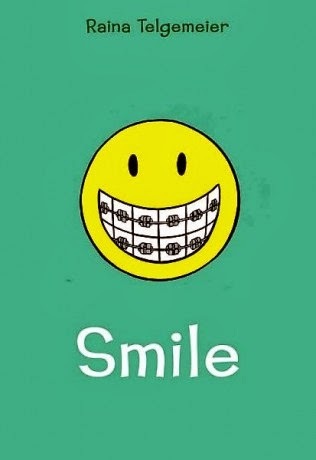 The next book I picked up was the only middle grade graphic novel I knew of--Smile by Raina Telgemeier. 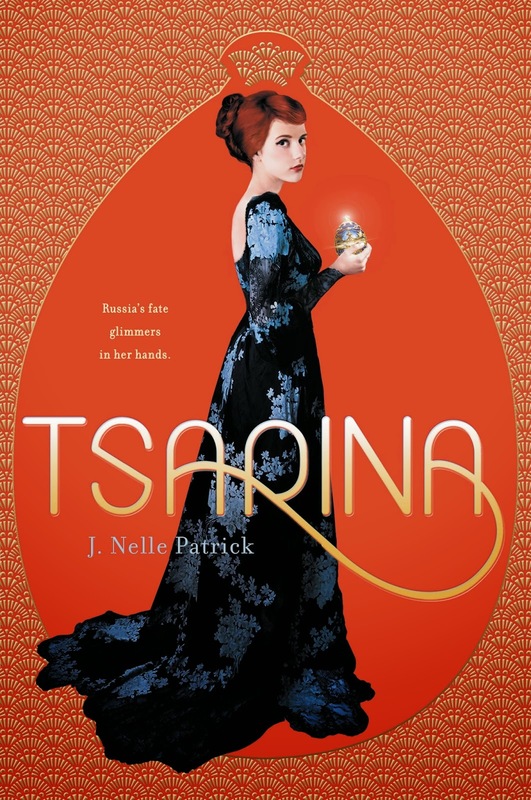 I saw Raina at the Scholastic part in New York in 2012, and just my luck that my library had a copy of Smile on the shelves. Smile is an autobiographical account of Raina's dental drama when she knocks out her two front teeth in middle school. It's funny and colorful and I really enjoyed how Raina talks about the struggle she had with being a good sport about her dental issues and the jokes that would ensue, and knowing the difference between good-natured teasing and subtle bullying. It's a fine line sometimes, and she handled the subject with grace. But I welcome any graphic novel suggestions and any manga suggestions and tips, especially since I am a beginner! What do you like? I've not been a very good blogger lately, I know. I'm working on my third packet of grad work for my semester, and I really am interested in writing about sibling relationships. The idea was sparked when I read See You at Harry's by Jo Knowles a couple of months ago. I loved how Fern and her siblings interacted through trials and tragedy, and it got me thinking about the importance of siblings in YA. Siblings have a really large effect on our lives, even if we don't want to admit it when we're teens. I want to look at books with bigger families (i.e. the protagonist has more than one sibling), and so I went to my shelf and pulled the books that I remembered as having protagonist siblings playing more than a minimal role in the book. I came up with this stack. I especially remembered the sibling dynamic in Crash by Lisa McMann--it was so memorable that I made a point of mentioning it in my review. Love and Other Foreign Words is on my to-read list, but from the description and what others have been saying, I can't help but think it will fit in nicely with this stack. And an added bonus is that Erin McCahan is a fantastic writer whose first book, I Now Pronounce You Someone Else, was one I loved. I'm also on a mission today to grab Heather Demetrios' debut, Something Real, when I'm at work. 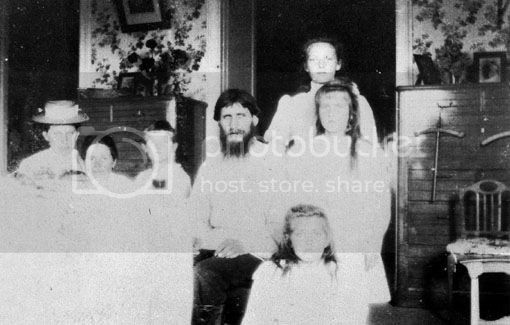 It is about a girl from a big family, and I know from firsthand experience that you can't have that many siblings in your life and not have them affect you in some way. I'm not really interested in "sister books" for this paper (although I love them and made this list a little while ago), but stories about families with more than two kids, preferably a mix of genders. Do you have any favorites that fit this description? What am I missing? Yesterday at work I tackled one of my favorite tasks: compiling an order of new releases. 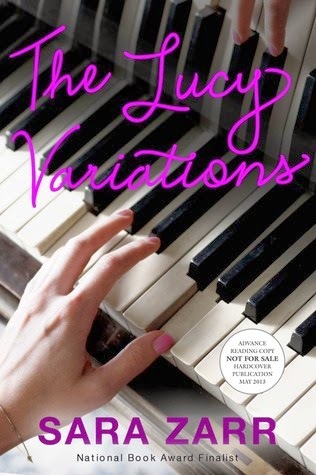 I was working on polishing off May's list when I saw that The Lucy Variations by Saza Zarr is coming out in paperback (yay!) 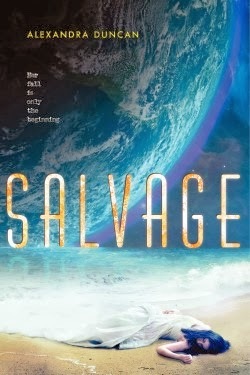 and that it has a new cover. The original cover fits the book so well, so I was a little surprised and sad to see the new cover. 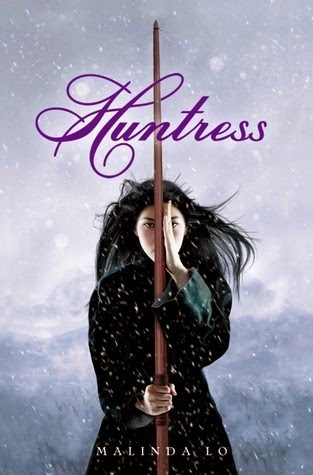 If you've read the book (or my review), then you can see why this cover (and the title!) fit the book so well! Lucy is pianist who is struggling with how she wants to use her talents and how she feels about her family's legacy. The fingers on the keys fit. I didn't want to like it at first, not at all. But...there is something just so joyful about this cover, and Lucy's love of life and freedom and her happiness when she isn't being told how or why to play the piano is what made me really like The Lucy Variations. I wouldn't say that this book is a happy or sad book--those labels wouldn't do the book justice--but it has some really intense happiness between these pages, and think that the paperback cover captures that. I also really like the title font. What do you think? The paperback is out May 27th, 2014!